There are many different ways to get your credit report and credit score for free. 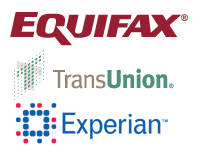 These 3 sites don't actually provide your real FICO score but a simulated FAKO score. In my experience, the scores are actually very close. Credit Karma will provide your simulated Transunion score while Credit Sesame and Quizzle will provide your simulated Experian scores. Remember that your credit score is calculated with different formulas that use data from your credit report. Lenders view your credit score to give them an indication of how likely you are to repay your loans. The better your score, the lower rates you can get on mortgage and vehicle loans, ultimately saving you much more money. It is a good idea to regularly review your credit report to check for inaccuracies, which can seriously hurt your score, as well as unauthorized charges that may alert to potential fraud or identity theft. There is no need to cancel the AMEX credit score program because it automatically cancels after 30 days. As an AMEX card holder, you can sign up to receive your free credit score and report once every year. Yet another reason to keep an AMEX card in your wallet! You can also sign up for a free 7 day Transunion credit score and report from: www.transunion.com. If you sign up for a limited trial, make sure you cancel the program before your credit card gets billed. As some of you may know, I am a big credit card freak and I am all about maximizing points and gaining the most rewards from my purchases. I am currently waiting for the best credit card signup bonuses to apply for in the near future so that me and my fiance can go on our honeymoon for free (I will detail this process in future articles). Having excellent credit plays a major role in obtaining the best credit cards and the best sign up bonuses. Last year, Chase offered me 50,000 points ($500) after one purchase to sign up for the Chase Sapphire Preferred card. Chase also offered me 30,000 points ($300) after one purchase for me to sign up for the Chase Freedom card. In conclusion, being aware of your credit score and report is an essential step to building and maintaining excellent credit history. You can read more about how to improve your score here.